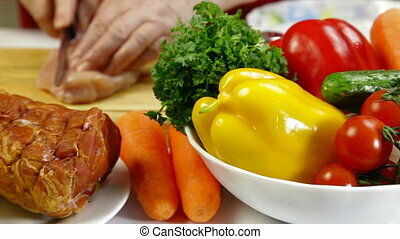 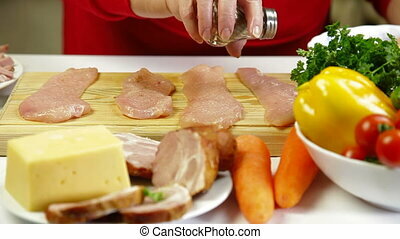 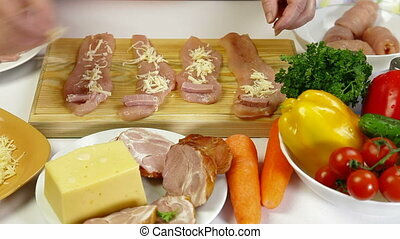 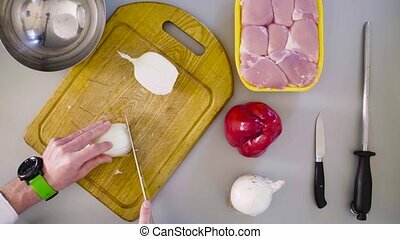 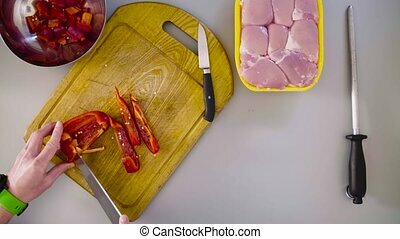 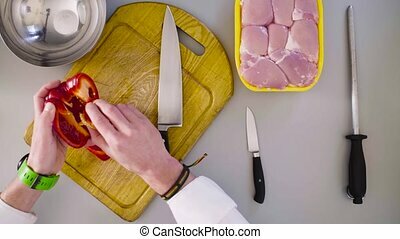 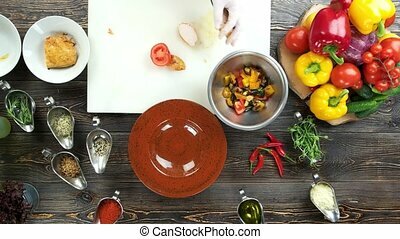 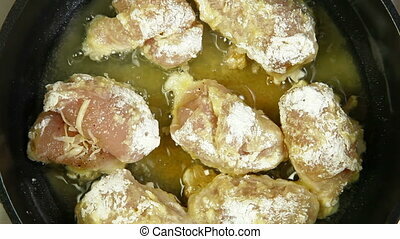 Food preparation - cutting chicken. 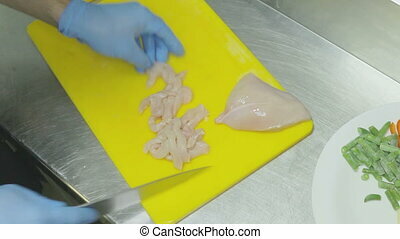 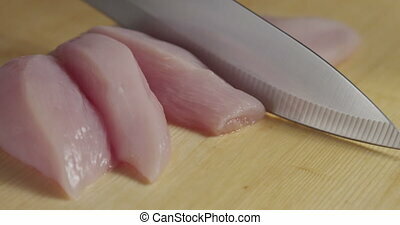 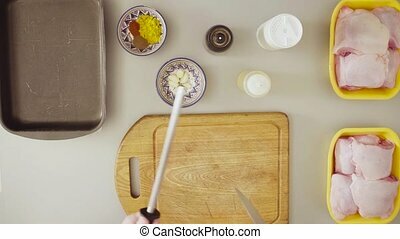 Female cutting chicken breast on cutting board, tracking shot, close-up. 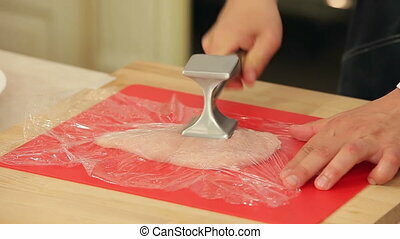 Chicken salad preparation. 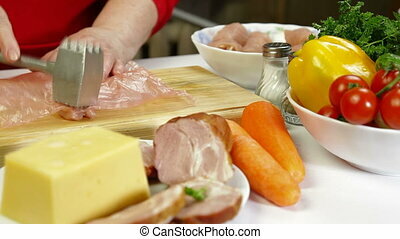 Hands cutting meat, kitchen table. 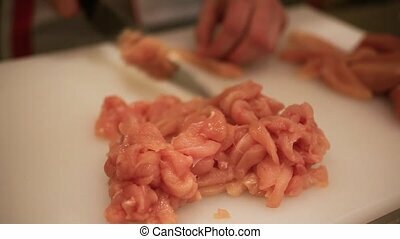 Hands cutting raw chicken breast. 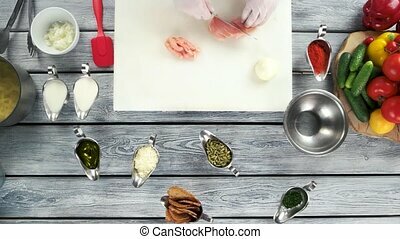 Food ingredients top view. 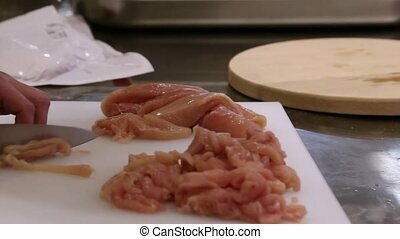 Male hand's cutting raw chicken with knife. 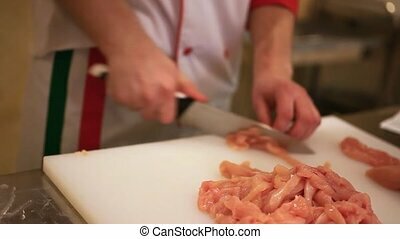 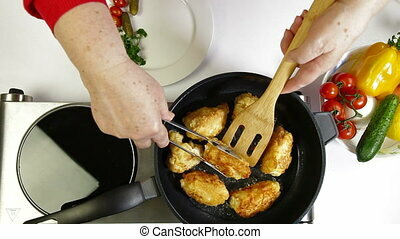 Close up of chef hands Cutting Chicken Fillet. 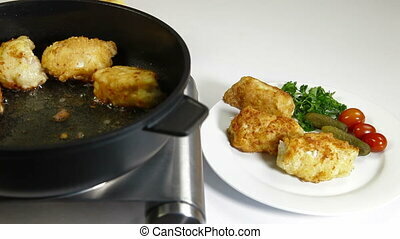 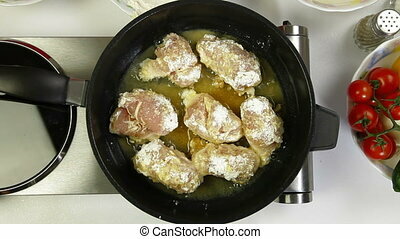 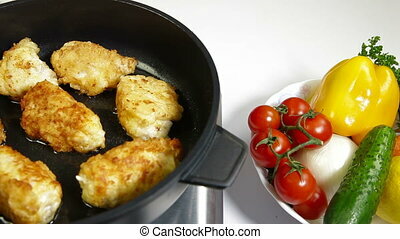 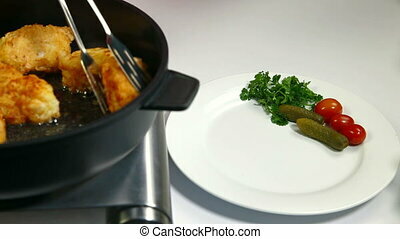 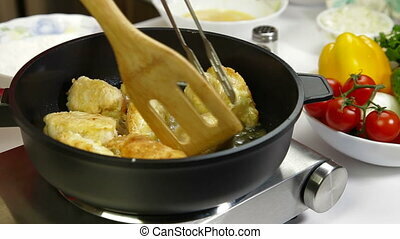 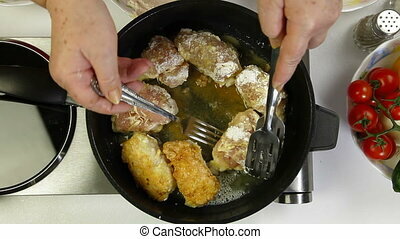 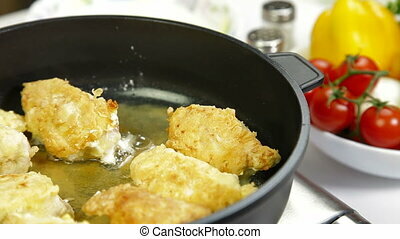 Female frying chicken breast roll on a pan. 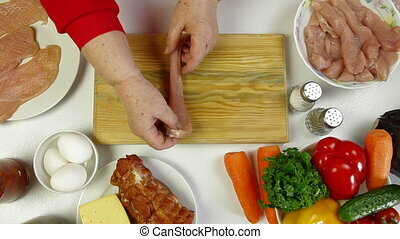 Women's hands cooking rolls of chicken breast, add bacon and cheese.